For a roomy and refined new crossover SUV, see the 2018 Buick Envision. This fresh and modern crossover from Buick boasts the classy styling and refined amenities you expect from a Buick, with a youthful design and the latest tech features that are sure to impress any driver and family! Star Buick GMC has a fully stocked selection of 2018 Buick Envision models to explore, so make your way over from Allentown or Bethlehem to our Easton, Pennsylvania location today! Our prices and lease offers are always competitive, so do not hesitate to get your search started online right now. Our new and used Buick dealership encourages you to complete a credit application through our website before making your way over to see us so that we can start to explore your loan options. Take a new 2018 Buick Envision home today, shop Star Buick GMC now! Thanks to the innovative Buick safety systems available on the 2018 Buick Envision, you can drive with the confidence that comes with knowing your safety needs are taken care of at any moment. 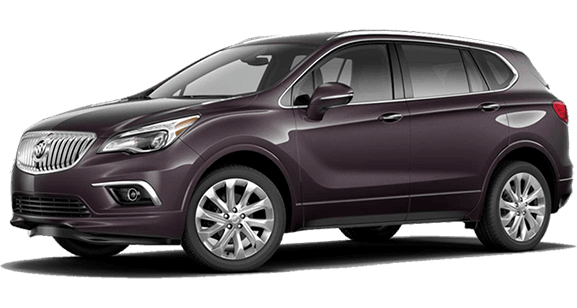 With three radar systems, five cameras and ten ultrasonic sensors available, you will be hard-pressed to find a vehicle that offers more road detection and monitoring systems than the 2018 Envision! The Lane Departure Warning and Side Blind Zone Alert help you maneuver through the streets while the Rear Cross Traffic Alert and Safety Alert Seat keep you informed of any potential hazards. In the unlikely event of a collision, this crossover's adaptive active venting airbags can gauge impact severity, and adjust the inflation rate accordingly. Your 2018 Buick Envision can also be fitted with an OnStar® Basic Plan and comes with a three-month trial of the OnStar's Guidance Plan. Talk to our Buick sales associates about these helpful on-road services today; we'll review all the standard and available safety systems as well as the benefits that the many OnStar® packages provide! Head to Star Buick GMC in Easton, PA to view this Buick crossover in all its glory and be sure to take a test drive while you're here so that you can get a feel for the comforting interior cabin and its many tech features. Available with an innovative HiPer Strut front suspension, you'll be yearning to take the longer, scenic drive home in your Envision. Opting for the available 2.0-liter Ecotec Turbo engine lets you experience a spirited drive, while the standard 2.5-liter four-cylinder engine certainly caters to your power needs. From the available All-Wheel Drive (AWD) system with Active Twin Clutch to the adaptive cruise control that helps you maintain a safe speed and following distance, your new Buick Envision is one high-performing and high-tech ride! Visit Star Buick GMC in Easton, PA to learn about all the technological advancements the 2018 Buick Envision has in store for you and your family, including its 4G LTE Wi-Fi hotspot and Buick IntelliLink® system. Our Buick sales specialists will also review the comprehensive warranty that comes included with your purchase. Our team awaits to assist with your Buick search soon!